WHAT'S THE RELATIONSHIP BETWEEN CUSTOMER EXPERIENCE AND CUSTOMER INNOVATION? In a recent client engagement, I noticed that the group's discussions kept sliding around a number of different topics that were all customer-related but which belonged in different buckets and to different organizational owners. The assembled executives were ostensibly tackling issues related to "optimizing the customer experience that we deliver to different groups of customers." But the topics that kept reappearing in the discussion included: "making it easy for customers to do business with us," "customer segmentation," "optimizing customer experience based on customer profitability," "improving cross-channel customer experience," "getting the Voice of the Customer into Six Sigma projects earlier," "innovation," "organic growth," "setting IT priorities," "setting e-business strategy," and "customer portals." I was completely comfortable, swimming in this milieu––it's where I live and breathe. But my new clients were disoriented and confused. They needed a map. So I gave them the one I've been carrying around in my head and my gut for quite some time. It helped a lot. 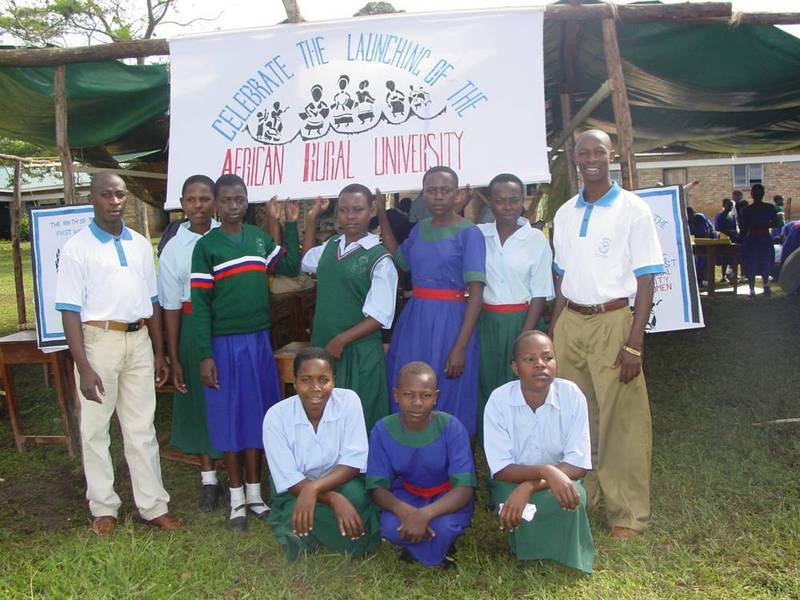 I spent an inspiring five days in Uganda last week, kicking off a new African Rural University (ARU) for Women. This rural university is unique and exciting. Its mission is to educate women to be change agents, entrepreneurs, and leaders in their rural communities. The ARU is the next logical step in a little-known grassroots development project that has been flourishing for two decades in a small village in rural Uganda. Last week, I sent the first draft of my book manuscript to my publisher. Soon, I’ll have its comments and a flurry of editing will follow. So I have a brief respite to reflect on what I’ve learned in doing this research and writing. 1. Engage lead customers and commercialize their inventions. Your most insightful and passionate customers will improvise new solutions to meet their needs with or without your help. If you tap into their innovations, you can gain a march on your competition. 2. Nurture customer communities. The majority of the organizations profiled in my book have vibrant customer communities that help them push the envelope. 3. Help customers strut their stuff. Customers want to gain respect, admiration, and recognition for their ideas, their contributions, and their accomplishments. You can help them gain cachet and reap rewards for your business in a variety of ways, from leveraging customer-created content, to encouraging customers to support one another, to running contests to ferret out the best ideas. 4. Provide innovation toolkits to help customers achieve their outcomes. Customers are most creative and innovative when they’re trying to achieve their ideal outcomes. There are a variety of tools you can provide that will both empower them to design their own solutions and leverage the domain expertise your firm provides. Some of these tools are electronic design tools; others are co-design methodologies; some include physical components. True innovation takes place naturally when you can help your lead customers leverage the creative tension between the outcome and the experiences they want, and the way things are today. 5. Promote open access and peer production. Whether your products and services are digital or physical, or a combination of the two, today’s customers demand transparency, visibility, and access to the use of your intellectual property. Many of the most dramatic breakthroughs are achieved when your most knowledgeable customers work together to extend or modify your base products in order to co-create a new set of capabilities. Think of all the ways in which you can make it easier for customers to “hack” and extend or modify your products to create something new and valuable.